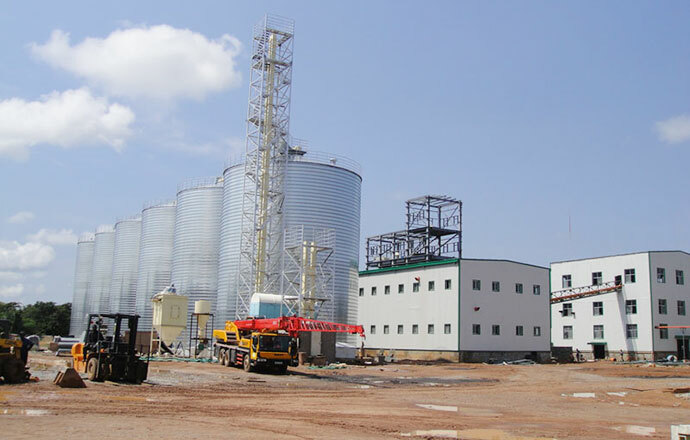 The project is located in Luanshya , Zambia, installed in 2009.The investor has been an chicken raiser, now it’s the second largest oil mill plant in Zambia. The whole plant includes 15000Ton silo, 100TPD oil mill plant, 60000Ton per year feed mill plant and 20TPD oil filling line. The plant had been put into use in 2011, and now it’s providing super quality soybean oil to both domestic and overseas market.